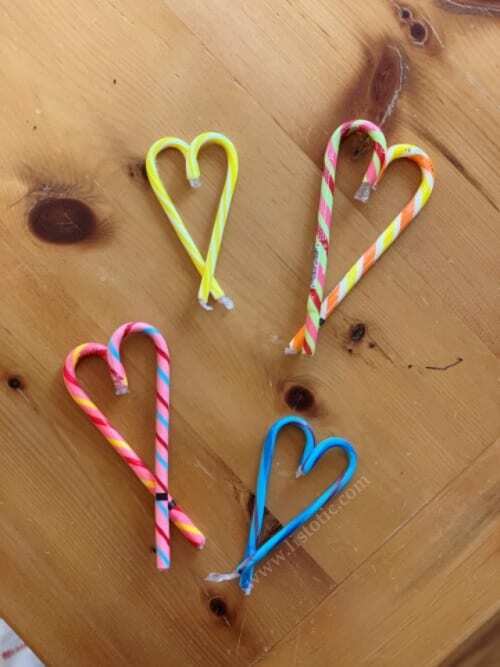 Super Easy and Creative DIY Valentine's Day Party Favor idea for kids. Simple way to save money after New Year's Day and gift a funny valentine's day card. 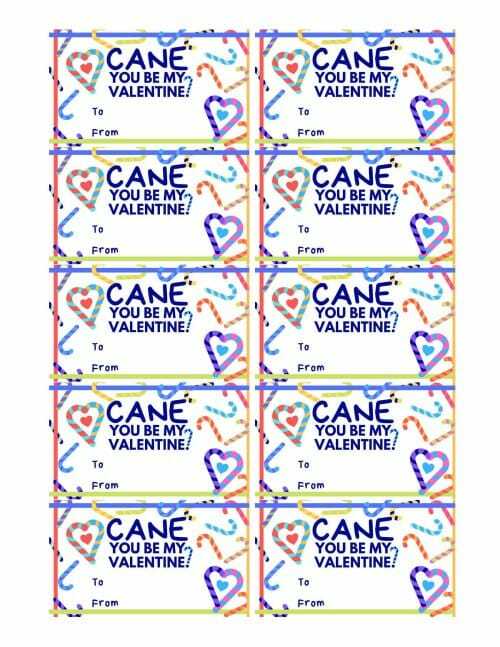 You are here: Home / DIY Crafts / You CANE save money on Valentines! 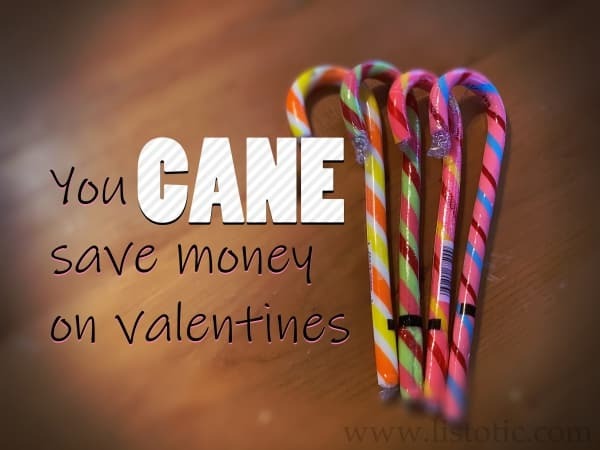 In the early months of the year, empty bank accounts and tight budgets due to Christmas spending opens up the door on creative ways to save money while still celebrating a lovey-dovey holiday named Valentine’s Day. Here’s a DIY Valentine’s Day favor, everyone will love. Easy and fun way to DIY Valentine’s Day Favors for pennies! Distributing valentine favors to 23 or more classmates can add up quickly. It creates a challenge when you are trying to keep a New Year’s resolution budget. This is especially true if you have more than one young child in preschool or elementary school. Luckily there are some super sales happening after the holidays. Specifically, sales on Christmas candy canes. 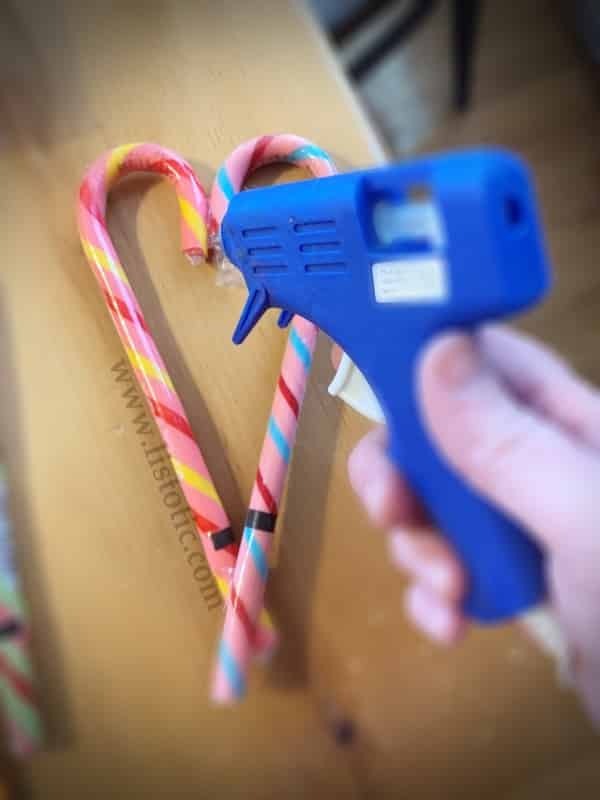 Even though the candy cane is a Christmas tradition through and through, diy crafters going back to the beginning of time have shown us that putting two candy canes together makes a perfect heart! The first step in this DIY (you’re going to love this!) … GO SHOPPING, hit the holiday sales aisles right after New Year’s Day to find some yummy bargain candy canes. I found these extra-large gourmet jelly belly candy canes for just $0.12ea. There were also 12-packs of regular sized fruity candy canes for just $0.50 a box. While you are there, grab some 75% off holiday ribbon too! 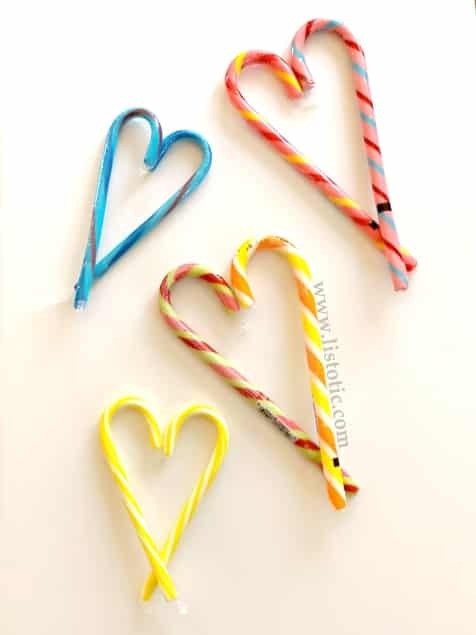 Candy Canes – two per heart you plan to create. I like using a non-peppermint candy cane because the more fruity types of candy canes have so many fun colors to combine. Step 1 – Scope out the holiday sale aisles to find your candy canes – make sure you plan to shop right around New Year’s Day or the day after. Some department stores and grocery stores pack away the holiday sale items and ship them out to make room for new inventory. If you are money saving mom or dad skilled in frugal living, you probably already know this tip. Step 3 – Use this free printable template or create your own paper valentine message. 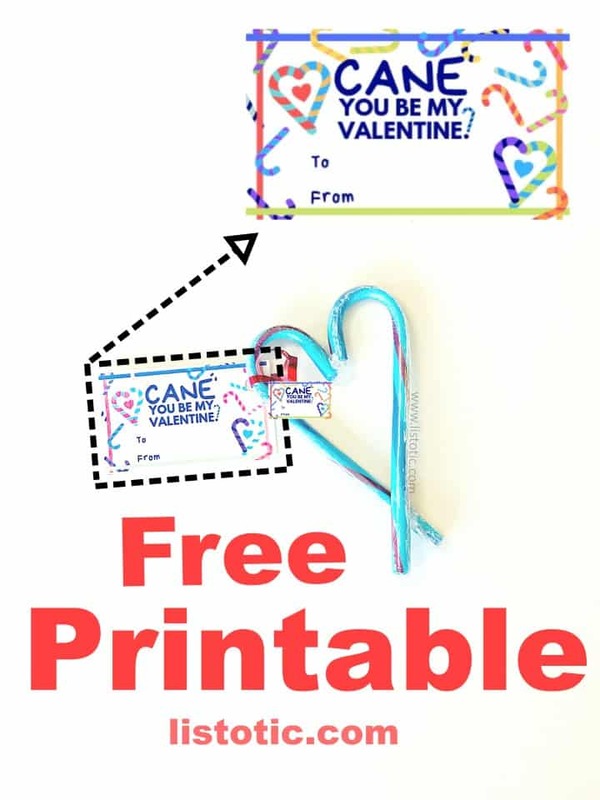 Print, cut and hole punch your valentine favor cards. Step 4 – This would be a good time to have your kids fill in their classmates or friends names or write their valentines day message. It’s much harder to write on them after the tags are tied onto the candy cane hearts. 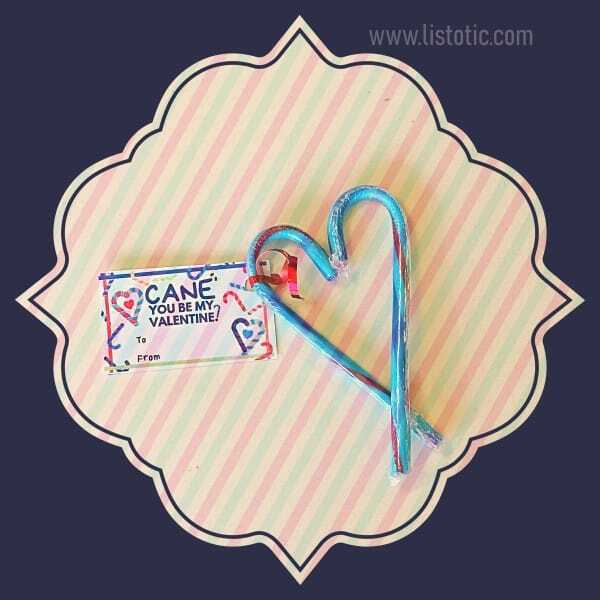 Step 5 – Tie your note to the candy cane heart with ribbon. Note: if you are sending these to school with your child, I highly recommend storing them in a box or plastic case as they are very breakable. Plus, you have no idea how much that backpack will get tossed around, swished and sat on during the commute to school. Now you CANE enjoy this Valentine’s Day with a little extra in your bank account! Making your own Valentine’s Day gifts is a great way to show someone you really care about them. You’re sure to find a diy Valentine’s Day gift idea to suit your needs. All the new options in color and texture, spray painting has become somewhat of a trend.